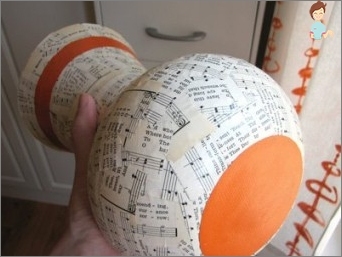 Decoupage became a budgetary way of decorationAll sorts of things, from small mirrors and mini-comics, to furniture, appliances and even walls. Most often in the hands of handymen get the items of interior and utensils. 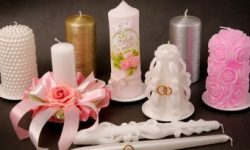 And therefore, in this article we offer several options for how to make decoupage of paper vases Napkins In different styles and techniques. Acrylic glossy (matt, semi-matt) lacquer. The dried vase is covered with several layers of varnish, each of which needs to be covered with fine-grained sandpaper. The word "vintage" refers to a wine with many years of aging. In our case, the decoupage of a glass or ceramic vase in the vintage style provides for its deliberate "Aging"By artificial means. Pass the real spirit of antiquity and rarityHelps a specific crakery lacquer, and in shades of consumables, all natural tones predominate. If you want to use bright colors, they are recommended to be rubbed until the base material is shaded through them. After that, we cover the vase with varnish, let it dry again. In fact, this is an old French country styleInterior decoration and decoration of things. It is distinguished by a light touch of antiquity, scuffs, cute charm and discreetness. 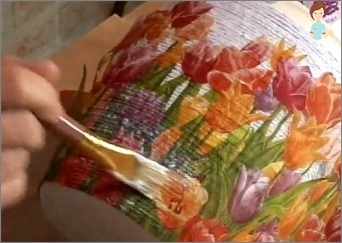 Decoupage of a glass vase in the style of Provence Can be done by one of the methods described above. Provence is impossible without all shades of ivory, dairy and beige, pastel and "Faded" colors. In this technique, vegetable and floral ornaments predominate, embroidered elements and lace are allowed. 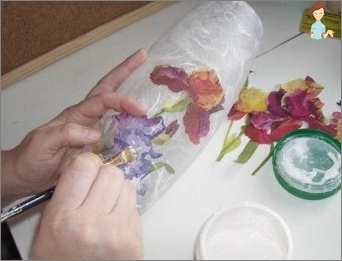 This is the most budgetary decoupage of a glass vase for flowers, whose name translates as "Style of a big city". Its low cost can be explained simply: To decorate a vessel for flowers or branches with your own hands, it is enough to tear a motley and bright glossy magazine, newspaper or other periodicals into fragments, then glue the pieces to a skimmed surface with the same special decoupage glue. A distinctive feature of such a glass container will be a deliberately open technique of execution and exhibiting the ragged edges of the decorative coating. 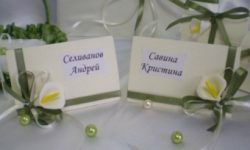 As you can see, despite the mysterious and overseasName, decoupage - it is quite affordable in all respects decoration techniques, for which you will need an elementary set of objects: acrylic paint, glue, brushes, napkins and cards, the future artwork and a little patience. As your experience and desire to create masterpieces grow, the list of consumables will expand inexorably, releasing your imagination to freedom. 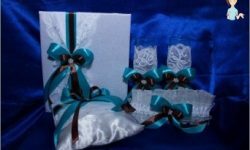 Enjoy and useful to you needlework!